Orlandini Design is a new reality created by Paolo Orlandini. 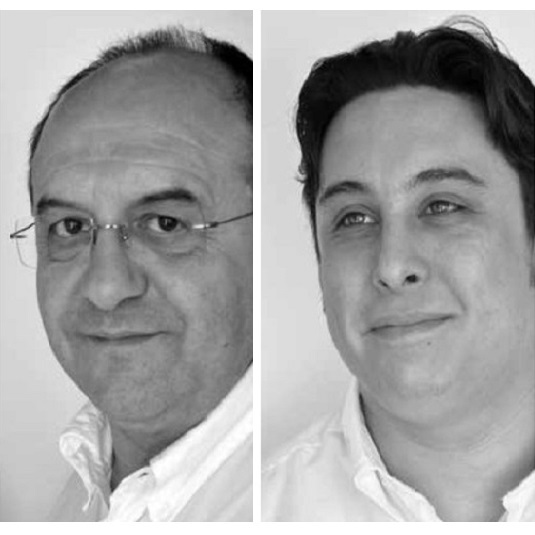 In 2009 its long partnership with Roberto Lucci (started in 1968) has dissolved and now, with a young team of creative designers, continues its work as Orlandini Design. A studio where a long experience in design business has merged with a smart attention to new trends and technologies. In the designs of Orlandini Design simplicity is the most remarkable feature. Simplicity means designing simple technical solutions that make the product both economical and reliable. It also means designing with an eye to the manufacturing problems. Planned Customisation is another important feature; products are designed with the planned potential to be personalised and modified, following the market demands. It is an innovative design method that helps manufacturers overcome price based competition. Born in Switzerland in 1962, but grown up in Italy, Graziano style's takes shape from this cultural mix. Methodical and precise when he acts, Graziano is nonetheless creative when he imagines. As soon as he obtains the technical high school diploma, he starts operating and extending his competencies in the domain expertise of furniture. Graziano's technical experience merges with his passion for design throughout the years, so that he begins to gather the market needs, choose and offer those furniture solutions (chairs, tables, accessories...) which can better interpreted the customers' wishes. He's not a conventional designer, but rather the intermediary between the creatives and the clients, the perfect point of intersection between supply and demand, with the purpose to innovate both the world of contract and the office environment. In 1989 Ximo Roca creates his own design studio, Ximo Roca Design. They offer global design services, management, product design, line art and interior design for light architecture. His art works have been published in the most important national and international design magazines and books. He has taken part in many exhibitions inside Europe and abroad. Ximo Roca is a technical expert in industrial design. Is the Professor at the Designing School of the University "Cardenal Herrera" CEU. As a professional designer, he manages the Design Department at several well-known companies. Ximo Roca is a member of ADCV, BEDA and ADP associations. In March 2007 he was granted with the Certificate "Enterprise Registered and Environmental Management" so as the right to use AENOR distinctive mark in those certificates. This fact proves the conformity of his Managament System to the UNE-EN ISO 9001:2000 Norm and UNE-EN ISO 14001:2004. Act Design, "Activa", was founded in 1996 and is a collaboration between Luigi Cappellin and Gianni Cappellin Rosa. They share a passion for creating and an enthusiasm to seize new challenges, form a competent and reliable staff. Their mission; to follow the path of "simple and secure design" solutions, constantly seeking new forms, new materials and production technologies in the forefront while respecting the environment. "This is the style that we want to follow". Paolo Scagnellato was born in Padua in 1952 and graduated in architecture in Venice in 1976 with lecturer Aldo Rossi. From 1977 he wields the profession. Jeremiah Ferrarese was born in Padua in 1980 and graduated in architecture from the IUAV University of Venice in 2006. In 2005 he began to deal with industrial design. Since 2011 Scagnellato and Ferrarese sign their projects together. "We always try to keep in mind that our job is made by hard work, the creative process and experience, however every project depends on a hunch".